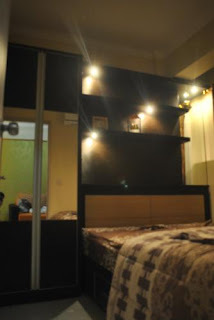 Bedroom: 2 = 1 Master Bedroom, 1 Standard Bedroom. 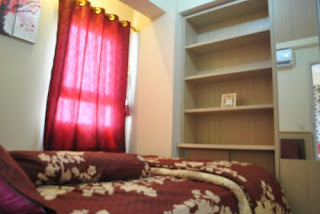 All Furnished, with Wardrobe, Air Condition, Night Lamp. 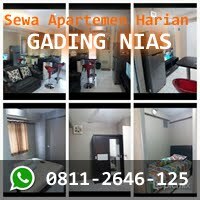 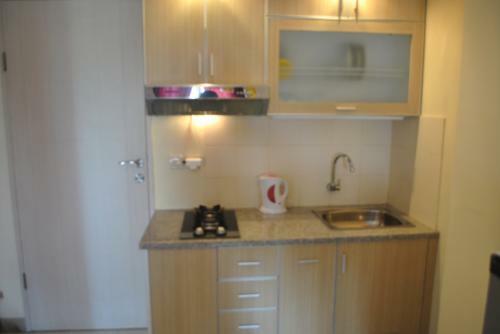 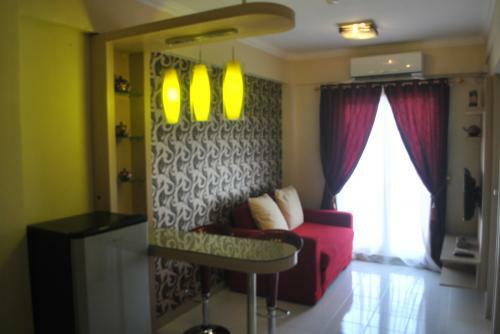 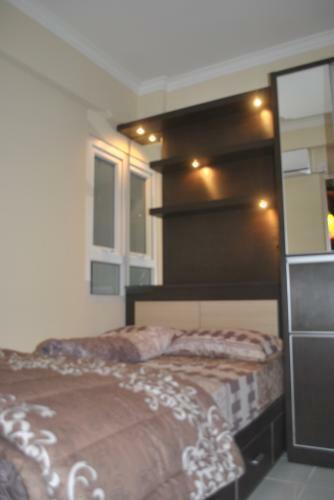 Condition: Full Furnished, Sofabed, Kitchen Set, Cooker Hood Wardrobe Set Each Room, Minibar Table, Refrigerator, 3 Air Conditioner (1 AC Each Room), LCD TV 32", Fire Extinguisher, Dry Iron, Cooking Equipment, Dining Equipment (Spoon, Fork, Glass, Bowl), Balcony, PLN 2200 VA. 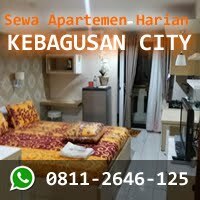 Facility: Access card, 24 hours security, security camera, cleaning service, mini market, 5 minute to Giant Hypermarket, Mall Metropolitan Bekasi, Bekasi Cyber Park , 5 minute to Mitra Keluarga Hospital, Hermina, 3 minute to Bank (BCA, Mndiri, Bukopin, etc ), laundry shop, travel & ticket counter. 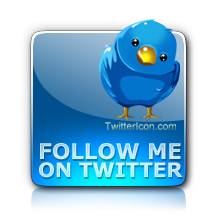 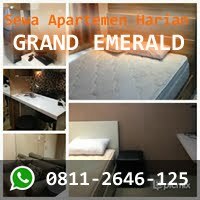 Additional Info: Price not included: Monthly charge / PLN / PAM. No pet allowed. 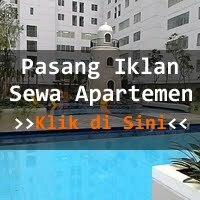 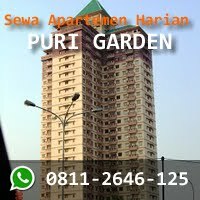 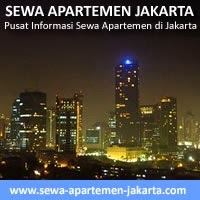 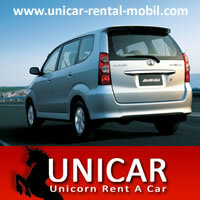 Deposit = Rp 4.000.000 (will return after rent period end). 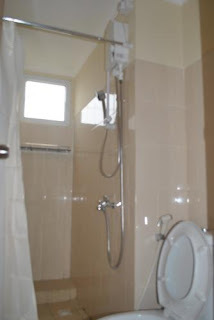 Must follow with building management regulation.